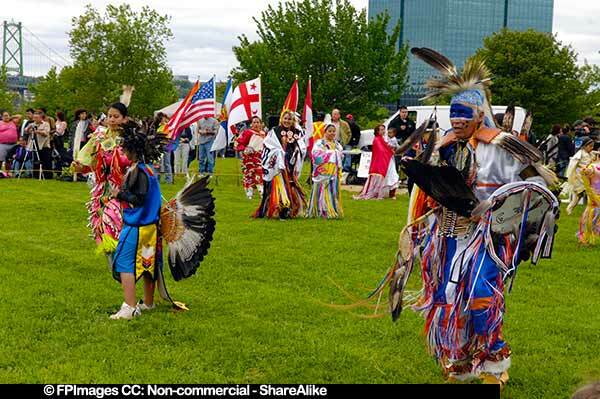 Native American fancy dance is a traditional and colorful dance performed at many pow-wows across North America. 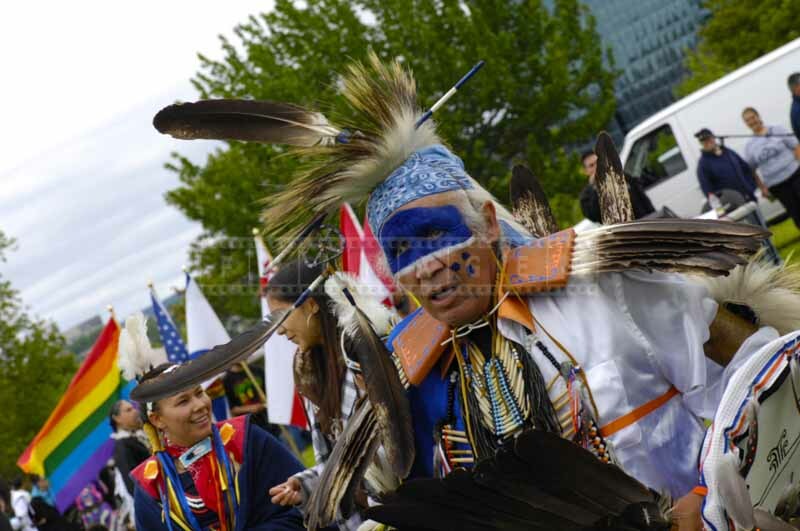 Native American people living in Nova Scotia, Canada are known as Nova Scotia Mi’kmaq first nation. 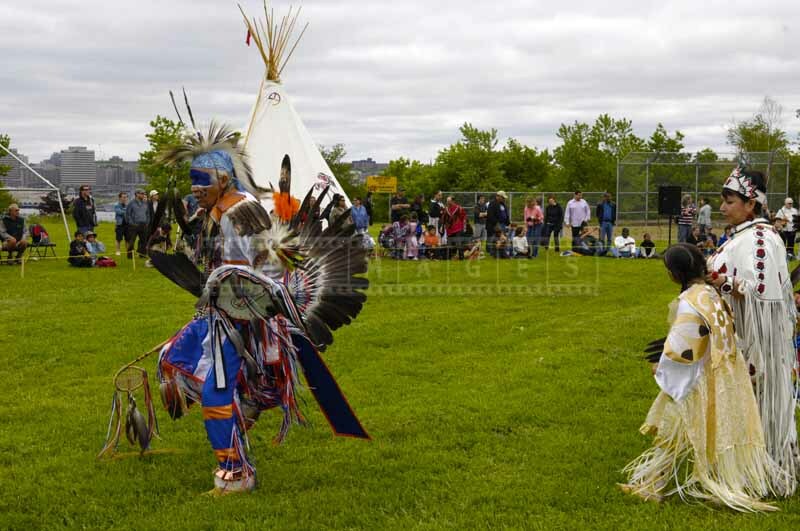 Visiting annual powwow must be on the list of things to do in Nova Scotia. It is a great family trip idea as kids will definitely enjoy traditional Native American wigwams and loud beat of the Mi’kmaq drum. The whole family will learn a lot about Nova Scotia Mi’kmaq culture. 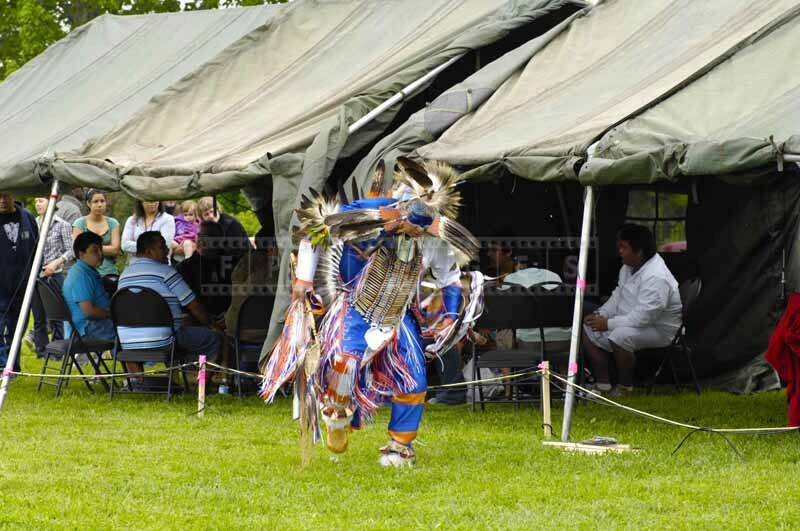 Native American fancy dance is a highlight of any Mi’kmaq pow wow. 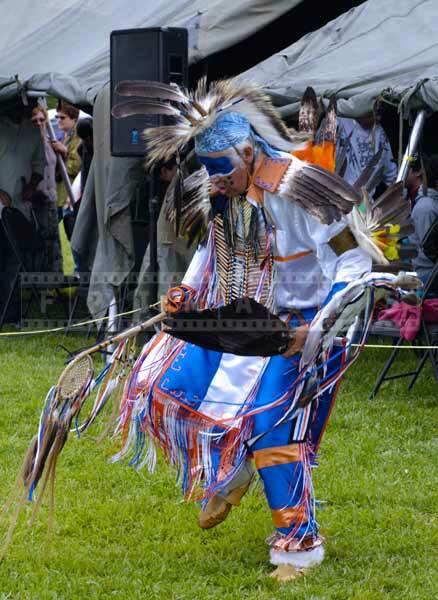 FPImages publishes several fancy dance photos in this post from annual 2009 pow-wow in Dartmouth, Nova Scotia. 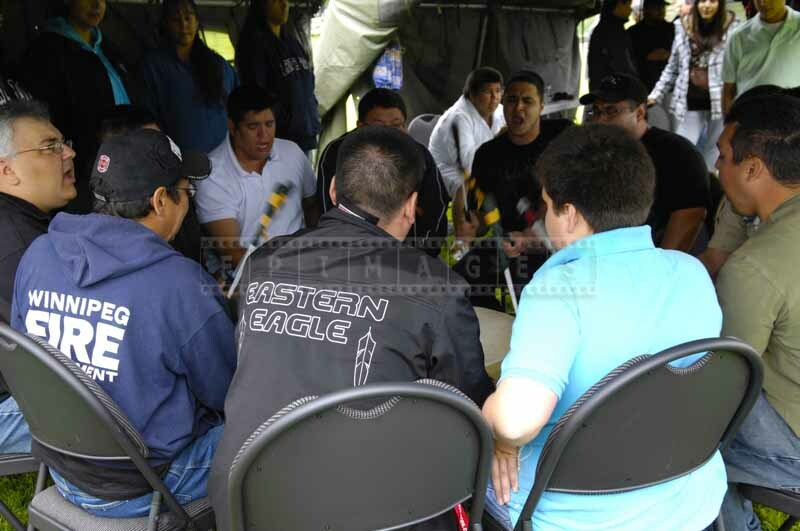 Location of the powwow will vary from year to year. 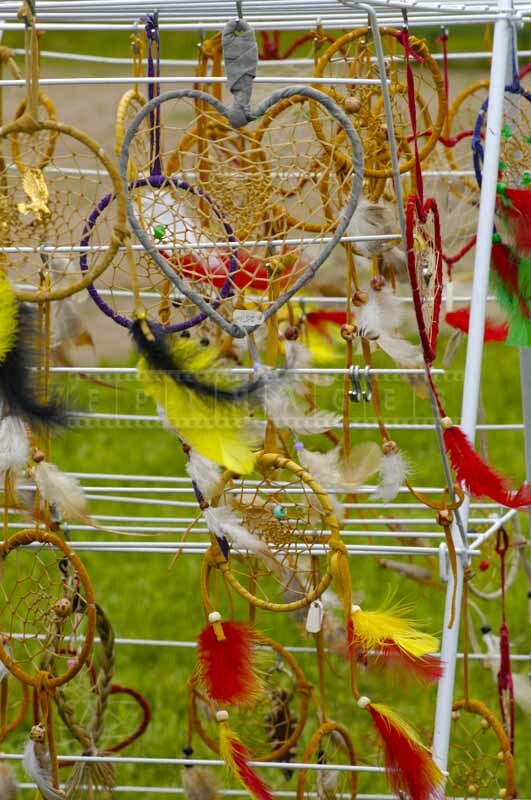 To plan a trip to Nova Scotia Mi’kmaq powwow you can visit Doers & Dreamers guide – official Nova Scotia tourism guide. This guide will let you make your family trip memorable and show you other things to do in Nova Scotia. 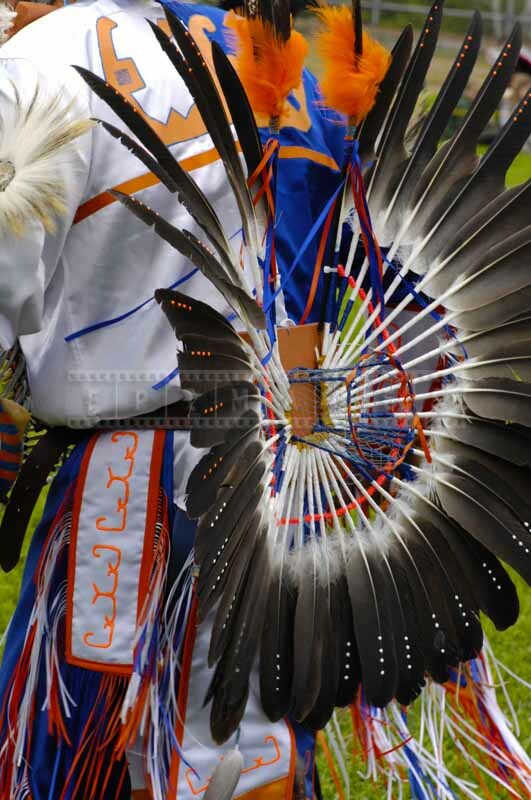 Native American fancy dance is very complicated and requires a lot of skills from the dancer. 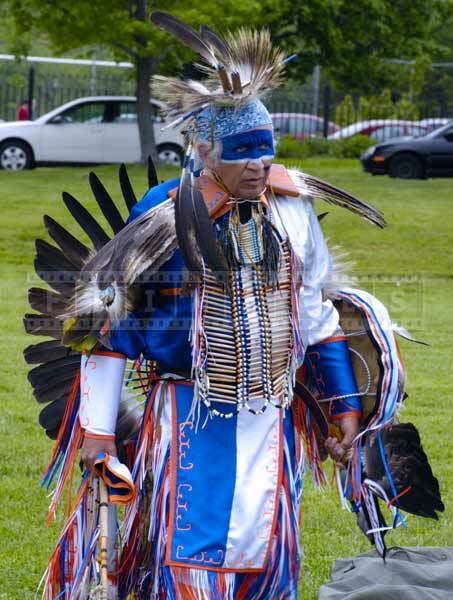 The dress of the fancy dance or any other Native American dance is called dance regalia. 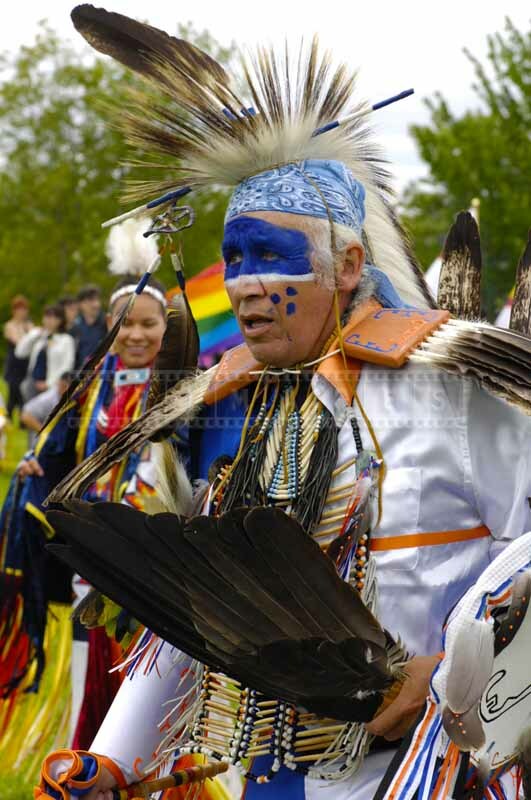 Fancy dance regalia includes many items – bustle, bells, roach, moccasins, bright fabrics with multicolored fringes. This Nova Scotia Mi’kmaq head dancer features white and blue fancy dance regalia with orange accents. He wears beautiful Native American beads and lots of eagle feathers. Mi’kmaq one of many first nations in Canada have their own hieroglyphs. 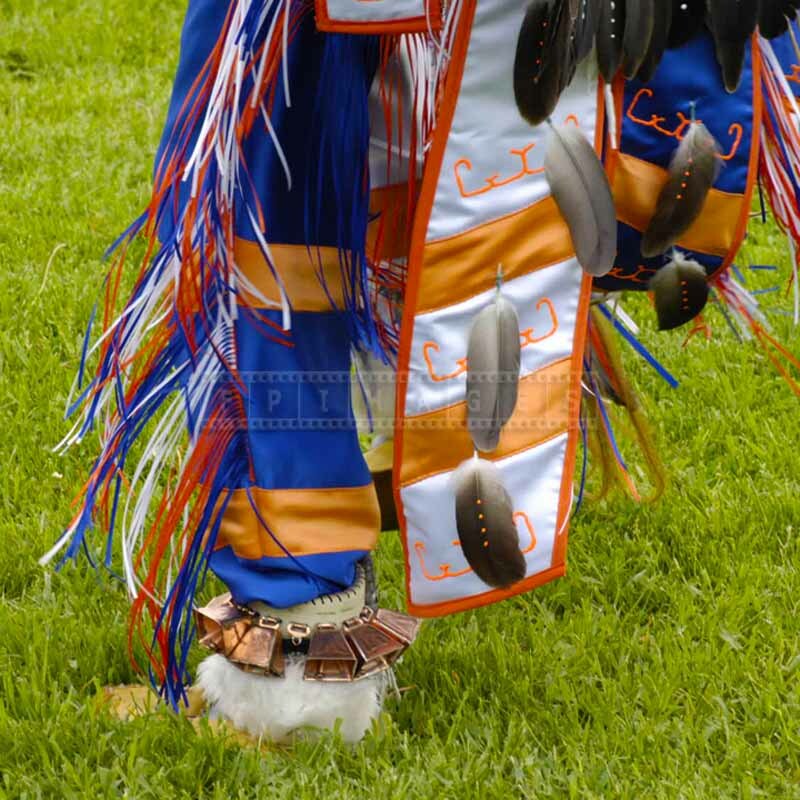 You can easily spot these Mi’kmaq hieroglyphs orange in color on this beautiful fancy dance regalia. 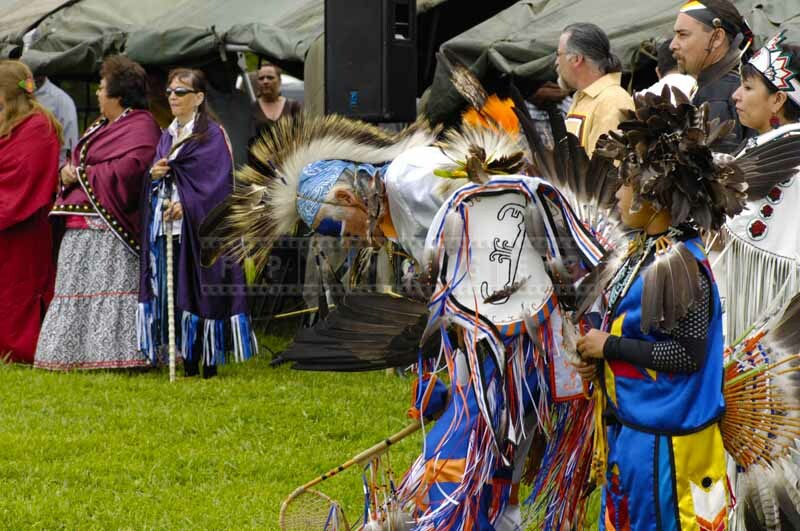 Hopefully this photo gallery will help you include a family trip to a native American powwow on your list of things to do in Nova Scotia and help you learn about rich Nova Scotia Mi’kmaq culture.